One look at the sharply pressed corners and carefully curved head and foot of the Oliva Serie V Melanio Figurado tells you this is no ordinary cigar. The Nicaraguan smoke represents the pinnacle of achievement for Oliva Cigar Co. The Oliva Cigar story began in the late 1800s, when Melanio Oliva started growing cigar tobacco in Cuba. His heirs carried on the family tradition in the fields, but it was his grandson Gilberto Oliva Sr. who began making cigars. As with so many cigar stories, Gilberto Oliva Sr. faced a difficult road. He left his native Cuba in 1964, and eventually started working for the Plasencia family in Honduras. In 1995 he and his son Gilberto Jr. created a cigar within Plasencia's factory called Gilberto Oliva. A year later, they set out to open a factory of their own, and shortened their brand name to Oliva.Business was tough in those days, and Oliva struggled. Faced with dwindling reserves of cash, in a cost-cutting move they turned to Gilberto Sr.'s robust stocks of Nicaraguan tobacco, which changed the flavor profile of Oliva cigars at a time when the interest in Nicaraguan flavor was increasing. Nicaraguan tobacco helped Oliva survive. The cigar that brought it to the attention of connoisseurs debuted in 2006: Oliva Serie V. Made by a small group of rollers and blended for strength and style, the Serie V line was an immediate hit. In 2012, to pay tribute to the first man in the family to grow cigar tobacco, Oliva added the Melanio version, which is distinguished from the original by its Sumatra-seed wrapper grown in Ecuador. The Oliva Serie V Melanio Figurado has rich, big notes of leather framed by a range of coffee, caramel and woody intonations. It's a classic smoke.Oliva's cigars have appeared on our Top 25 list nine times in a row. 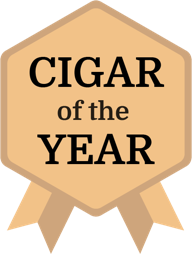 This is the first time the company has been named Cigar of the Year.